If young people want to enjoy the same standard of retirement as baby boomers then they are going to think long and hard about their pension contributions now. A recent international study has revealed they they should be saving 20% of their lifetime salary to secure an income that would match this in their old age. Do they deserve these accusations? What has latest research about pension problems for the millennial generation revealed? The latest research was conducted the International Longevity Centre – UK (ILC – UK) in 30 advanced economies and found some worrying statistics. The study revealed that if young people wish to enjoy the kind of retirement that the baby boom generation currently enjoy, they will need to start saving 20% of their income over the course of their working lives and 18% to secure an adequate income. If they fail to do this then they could be looking at poverty filled retirement years. If young people wish to enjoy the kind of retirement that the baby boom generation currently enjoy, they will need to start saving 20% of their income over the course of their working lives. The current workplace was described as “a hostile economic environment” for young people today. The study looked at affordability, adequacy and inter generational fairness of pensions and found that many factors had contributed to the current pension attitude. The slow growth of the economy, low interest rates, low investment returns, slow wage growth and the collapse of defined benefit pensions are some of the reasons that our young people today are in this present situation. How much are youngsters managing to save for their pensions? The research also revealed that a shocking number of young people do not save any money for their retirement years. Only 12.5 % of employees save anything over 15% of their salaries and 30% make no savings at all. This group of people, that are not making any retirement plans by not saving any money at all, are in danger of reaching the age of retirement with no money to show for a lifetime of working, warns the think tank. The introduction of auto-enrolment since October 2012 has seen almost six million workers join up. The scheme encourages workers to start saving for retirement by saving a small percentage of their salaries. These workplace pension schemes automatically take the small amount of 0.8% of a worker’s earnings. By April 2019 the figure will rise to 4% with an added 3% from their companies and an extra percentage added by the government. Although these schemes are better than not saving at all, as the research indicates it is not an adequate amount to hope for a comfortable retirement. The assistant economist for ILC – UK, David Hochlaf, spoke about the report’s revelations and called for the government to do more to help vulnerable groups such as the self employed and people on benefits. There have been no schemes for people in these two groups to help them save for their retirement. He stressed the need by the government to encourage people to save more money by extending pension coverage and supporting them in this endeavour. The report highlights the need for people to save privately and not just rely on the state pension as it was recently announced that the later retirement age for those born between 1970 – 1978 was to be brought forward. Numerous studies have all revealed the same worrying results when focused on the millennial generation. They reveal that this generation of young people are not interested in saving, have no idea of how much money they should be saving for a comfortable retirement and are not planning for their futures. The youngsters between the ages of 18 – 34 have been labelled “clueless” about their financial situations. A recent report referred to millennials as the “Yolo” generation meaning, “you only live once”. The attitude of spend now and worry later is an increasing way that many people are seeing this generation. They are being labelled as a generation that prefer to live experiences as opposed to having possessions and rather than spending their income on trying to get a mortgage they are accused of spending their spare cash on lattes, extreme experiences and yoga classes. Is this a fair way to label the millennial generation? The observers, responsible for this way of labelling today’s young people, have not perhaps considered that low incomes, the high cost of living and the uncertain economic future that this generation face, could be some of the reasons for this attitude. They stand accused of not being able to manage their money but it is much more difficult to manage money today than it was in years gone by. The older generation who are pointing the finger forget that they had guaranteed “final salary” pensions waiting for them when they retired. Employees were not required to do anything except work for 40 years in order to get this kind of pension. They were generous, inflation proofed and guaranteed to be paid for the duration of an employee’s retirement. The pension schemes available for young people today in the workplace require them to opt in and decide themselves how much of their salary they want to contribute. They live in hope that the stock market will perform and give them a better return for their investment, but this amount will not be enough for a comfortable retirement and many will need to put other plans into place. 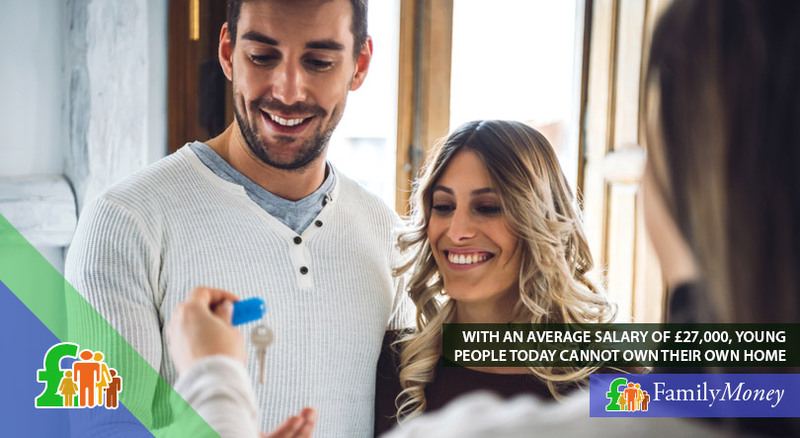 Most young people today on an average salary of 27,000 pounds do not hold any hope of ever owning their own home. The average price of a deposit on a property for first time buyers in the London area is 96,000 pounds. If you were to save 500 pounds a month it would take 16 years to save up such a large amount of money. Once inside, a youngster would have to ensure that they could meet the mortgage payments on a property that would be mortgaged for around 500,000 pounds. Even elsewhere around the country, buying a property is no easy feat with the average house prices of 200,000 pounds. Rental properties are also expensive meaning that once the rent is paid there is not a lot left over to save with. Many millennials do not believe that they will ever be able to retire and that there will not be any money left in state pension funds to support them. Coming of age during the financial crisis has given them a mistrust of banks and other financial institutions. A study from the investment platform Selftrade concluded that one in five people under 30 do not believe they will be able to retire. So what can we conclude about the pension problems that face the millennial generation? The recent studies have pointed out the fact that today’s young people will have to begin saving more money, from their already small salaries, in order to have a comfortable retirement. They are being accused of being lazy and tech obsessed and of having bad attitudes towards money. Life is much harder for young people than it was for the baby boom generation who had good work pension schemes to provide them with a high retirement income. Nowadays it is increasingly difficult for young people to save and buy a home. They mistrust financial institutions and fear that any money they save may be lost through bad investments or used to pay banker’s bumper bonuses. Perhaps the people who are judging the millennial generation for not planning for their retirement need to realise that it is not a lifestyle choice not to have possessions but that they have given up hope of ever achieving the things that their parents did.